This intense moisturizing cream replenishes and hydrates extremely dry, cracked skin. Developed for tough treatment areas such as hands, feet, and elbows, this skin product restores the balance of ceramides and other lipids found in healthy skin. Help prevent brittleness for longer nail growth. Control nail splitting. Remedy cosmetic problems of the nail associated with various dermatologic conditions. Is the only product available that is guaranteed to reduce the appearance of dark circles. 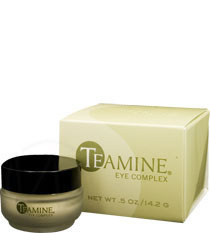 Teamine® is formulated to diminish dark circles under the eye, reduce puffiness, and smooth fine lines and wrinkles. 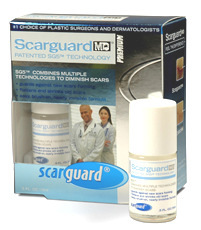 Developed by a plastic surgeon, Scarguard MD®'s specially-designed technology combines five medically-proven treatments into one easy-to-use solution that has been clinically proven to help shrink and flatten scar tissue if it is raised or thickened. If used on newly forming scars it helps decrease the amount of scar tissue that forms during the healing process. Scarlight MD® works to lighten existing dark brown scars and diminish skin discolorations of people with brownish skin discolorations. Brown scars, under eye circles, age spots, liver spots, freckles, or melasma, all can be lightened by using Scarlight. 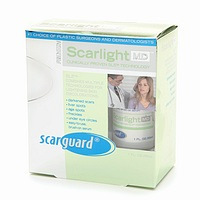 Developed by a plastic surgeon, Scarlight is a unique combination of effective medical and homeopathic ingredients. This product works incredibly well on all skin types. was specifically formulated by a plastic surgeon to protect your scars and sensitive skin areas. Its powerful SPF 70 formula reflects the harmful sun rays and creates an invisible protective barrier on the skin. It is designed to be micro-targeted for scars and other sensitive areas so it can be worn without interfering with clothing. Solarguard MD® is quickly absorbed by the skin leaving it soft and without feeling greasy. Having a bruise after a surgery or injury can be as stressful as having a scar. Most people simply wait for a bruise to fade. 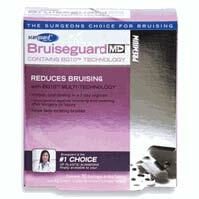 Developed by a plastic surgeon, Bruiseguard MD™ is a multi-technology regimen designed to help the body fade bruising after a surgery or injury. It is a unique 7-day oral dosing regimen that is designed to help clear unsightly discoloration.